If you like Christmas and Doctor Who then you should check out the 2017 Christmas episode DVD or Blu-ray. The Doctor Who Twice Upon A Time is the final episode of the 12th Doctor but there is another Doctor in there and that is the 1st Doctor Who. So now you can rewatch the Christmas episode that brought together two version of the Doctor. Besides the episode itself there are also extra’s so that you can see more then that they showed you on TV. 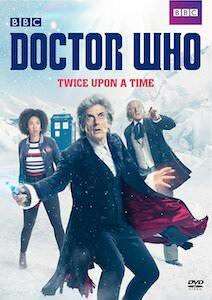 Now you just have to choose between DVD or Blu-ray and you are ready to get your copy of Twice Upon A Time. 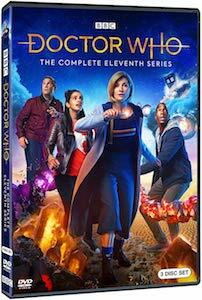 If you enjoyed the 2016 Christmas special of Doctor Who then you can now enjoy it again as it now is available on Blu-ray and DVD. 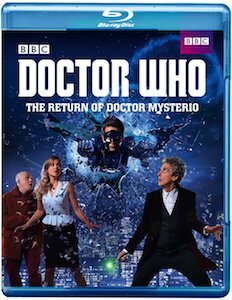 Yes, The Return Of Doctor Mysterio can be yours so that you can rewatch it anytime you want and if you have more Doctor Who Christmas specials then maybe you can even do a Doctor Who Christmas special marathon around the holidays. Now you can see what happens when the Doctor accidentally turns a little boy into a superhero and that makes this Doctor Who episode also great for fans of superhero’s. Doctor Who Christmas specials are always amazing and if you like to see them again then you will need this Doctor Who Christmas Specials Gift Set. 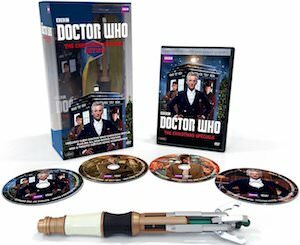 The set is available on Blu-Ray and DVD and includes 11 Christmas episodes and a bonus feature and to make it an even better gift they even added the Sonic Screwdriver as used by the 11th and 12th Doctor. In this Christmas set, you will find Doctor Who episodes with the 10th, 11th, and 12th Doctor and that will make your holidays so much better. OK, Christmas dinner will be in front of the TV this year because you have to watch Doctor Who Christmas episodes.